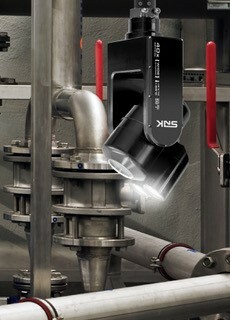 Recently updated, the current generation of tank and vessel inspection cameras – the INVIZ SNK – is designed to allow a detailed inspection of confined spaces without requiring manned entry. The SNK system delivers a 40x optical zoom and a further 10x digital zoom, ensuring even very large tanks can be inspected without the need for scaffolding or to tie up resources on safety cover. Pan and tilt capability ensures the user can look around the entire structure, and the optional manhole tripod allows the system to be deployed through manways and inspection hatches from 150mm dia. Included is a pair of integrated high power LED lamps that ensure the internals are well lit, and the latest imaging module incorporates a low light enhancement capability, ensuring that inspectors and surveyors can get high quality images and video.